“HISTORIC” and “unparalleled” were the words Sonia Gandhi, boss of the ruling Congress party, used to describe India’s new food law at a launch in Delhi on August 20th. She promised an end to hunger for the poor. More accurate terms for the law and its introduction would be “expedient” and “chaotic”. 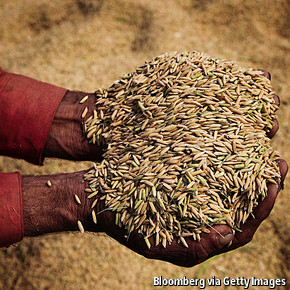 The scheme aims to reach 800m of India’s 1.2 billion people, giving each a monthly dole of 5 kilos of rice or wheat, at a nominal price. That makes it the world’s biggest serving of subsidised food. Yet it has been launched amid confusion, cynicism and claims of fiscal irresponsibility. qui défendra les #inspecteurs_du_travail ? Relations between India and Pakistan have again been plunged into crisis, with intensifying tensions along the Line of Control (LoC), which divides disputed Kashmir between Indian and Pakistani-controlled sectors, following the killing of five Indian soldiers last week. This richly illustrated book explores the contested history of art and nationalism in the tumultuous last decades of British rule in India. 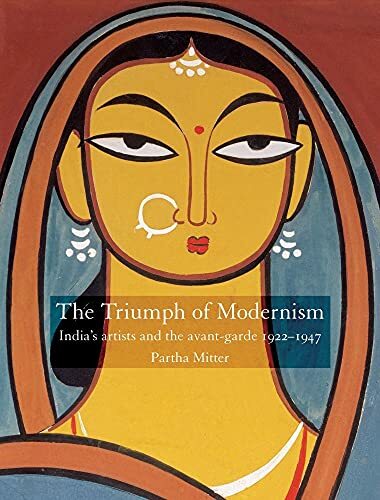 Western avant-garde art inspired a powerful weapon of resistance among India’s artists in their struggle against colonial repression, and it is this complex interplay of Western modernism and Indian nationalism that is the core of this book. With a fascinating array of art works, few of which have either been seen or published in the West, The Triumph of Modernism throws much light on a previously neglected strand of modern art and introduces the work of artists who are little known in Europe or America. A book that challenges the dominance of Western modernism, it will be illuminating not just to students and scholars of modernism and Indian art, but to a wide international audience that admires India’s culture and history.